Contact Flowers by Shirley – Saint Augustine’s Finest Florist. We’re a local St. Augustine, Florida florist proudly serving the area since 1973 with a variety of fresh flowers, plants and gift choices to suit any style or budget. In 1997, Shirley was named Woman Business Owner of the Year by the Women Business Owners of North Florida. Flowers by Shirley is a member of the local Chamber of Commerce; several small business associations, and has been voted St. Augustine's Finest Florist by the St. Augustine Record. 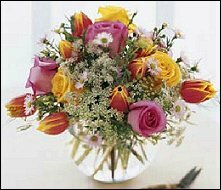 We are the leading FTD and Teleflora florist in St. Augustine and proudly offer FloralSource International delivery service. We hope you enjoy your online shopping experience with secure 24-hour ordering right at your fingertips. If preferred, you may call us to place orders direct at (904) 824-8163 or 1-866-273-6358. It is our pleasure to assist you with any local, as well as worldwide deliveries and remember that corporate accounts are always welcome. For your convenience, we offer daily floral delivery to local funeral homes and hospitals. Planning a Wedding, Party or Corporate Event? 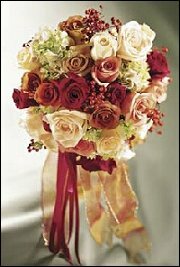 Let Flowers by Shirley add the beauty of flowers at all your occasions and locations, large or small. Our floral professionals design all your flowers and on-site decorating. Call to schedule a consultation, so we can help you start planning your next special event! When you need to Send Flowers to a Funeral… Our courteous and knowledgeable staff is ready to help you after a friend or loved one passes. We will design and deliver a funeral arrangement that beautifully conveys your feelings of sympathy and serves as a lovely tribute to the deceased. Great Gift Ideas for All Ages & Occasions… Green Plants, Blooming Plants, Fruit Baskets, Gourmet Baskets, Custom Gift Baskets, Baby Gifts, Novelty Containers, Candy & Chocolates, China, Crystal, Silk Flowers, Plush Stuffed Animals, Balloons and more! Thank you for visiting our website with flowers delivered fresh from your local St. Augustine, FL flower shop and convenient online ordering 24 hours a day! !